For the organizing obsessed, the Dollar Store is a must to get all our organization goodies on the cheap. 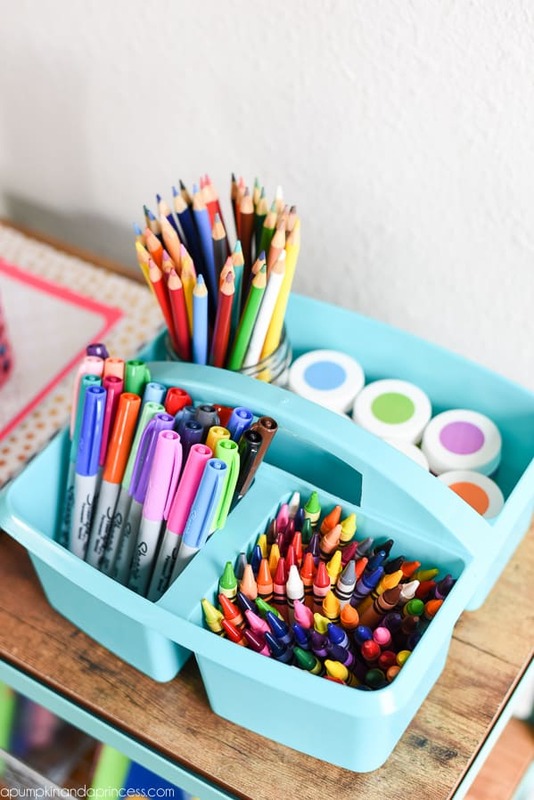 There are so many cool Dollar Store organization hacks for the home that I felt I just had to share with you guys! Seriously, these hacks are so genius, I can’t wait to try out a few myself! Be sure to follow my Amazing Organizing Ideas Board on Pinterest for even more AWESOME organization tips! Before: Plain plastic basket you would want to hide in your closet. After: Beautiful baskets you will love displaying in your home. Remember you can customize these with whatever fabric goes with your decor! For more AMAZING Dollar Store organizing ideas, check out 20 Clever Organization Ideas to Declutter Your Kitchen! Queen, you are very welcome. I’m very glad you found them useful! Toothbrush holder for your charger! Fantastic idea! Thank you, always shoving them in my travel bag or purse and they get tangled ugh. Yeah, I love that idea too! I believe they have separate little bags now for all your chargers and cords, which would work nicely as well.